FEAR can hold us back from fulfilling our objectives, mission in life for God. It can paralyze us and endanger our lives. However, there are times when fear can be a driving force to faith, if we know what is happening to us and seek deliverance. According to 2 Timothy 1:7 Fear is a spirit of torment sent out by our enemy the devil. The Bible says that “we are not fighting against flesh-and-blood enemies, but against evil rulers and authorities of the unseen world…and against evil spirits in the heavenly places“. Ephesians 6:12 We can only fight fear in the power of the Holy Spirit Who is mightier than the devil and the spirit of fear. When we are afraid, our minds are not well-balanced . When we fear or doubt God, we are said to be double minded (James 1:8).God says that when a person comes to Him, it must be in faith that he asks with no wavering (no hesitating, no doubting) For truly, let not such a person imagine that he will receive anything [he asks for] from the Lord, [For being as he is] a man of two minds (hesitating, dubious, irresolute), [he is] unstable and unreliable and uncertain about everything [he thinks, feels, decides]. -James 1:6-8 (AMP). That is exactly what the spirit of fear wants to do to you. It makes you unstable, unreliable, uncertain about – your thoughts and God’s promises – EVERYTHING. and then fear fills you with the thought of bankruptcy and you are in a frenzy. It can sneak up on you when you least expect it, and once it has you, it can be hard to get free. Many Christians don’t realize it, but faith and fear are very similar in nature. Both faith and fear are an unshakable belief in an unseen future. Neither is merely emotional, but both are spiritual forces. The only difference between the two is that one believes God will come through for you – The other believes He won’t. God says that He has not given you the spirit of fear, but, He has given you love, power, and self-control (2 Timothy 1:7). They are your most powerful weapons in your battle for freedom as you master controlling emotions of fear, doubt, and worry. God has promised you love, power and self-control He is stronger than the devil who loves to fill you with fear. Will you be subject to God’s authority and not fear? May your fear drive you to God who will fill you with freedom, love and self-control. He can and will if you ask Him to fight for you and with you. Forge forward in faith with God today! He will come through for you. Dear Father in heaven, for every person who reads this blog, who lives in fear, I pray that You will drive out the spirit of fear and fill them with Your overcoming victory. May they feel Your love, Your power and strength of control over fear in their lives as they call to You and surrender to You. May they learn to stand on Your precious promises in faith and help them to trust You the Lover of their souls rather than the enemy who will lead them to death. Protect them from the spirit of fear. In Jesus’ Name I pray. Amen. 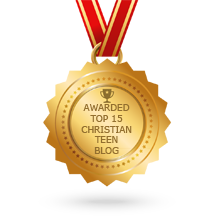 This entry was posted in A CLICK A BLESSING TODAY, CHRISTIAN LIFE AND THE WORD, CHRISTIAN NUGGETS, CHRISTIAN TEENS BLOGS, SHARING STRUGGLES , Shaping Spiritual Solutions! and tagged bankrupt, confused mind, deliverance, Devil, fear, Holy Spirit, Jehovah Jireh, love, overcome, power, self-control. Bookmark the permalink. II Timothy 1:7 is the crux of the lesson here. I was always reminded of little David slaying giant Goliath. I was asked to imagine if David prepared his slingshot with a “ho-hum” attitude or with a rapidly beating heart! Thus the difference between appropriate caution,seeing dangers with a clear eye; and allowing trepidation and terror to immobilze you–or just shrugging your shoulders and walking away from challenges. Thank you ever so much for a great post on fear. This is an issue many struggle with. No one wants to admit it and be seen as weak, I however do struggle with fear and anxiety on occasion. We need to place our complete trust in Jesus, and lean not on our own understanding. You are so right in saying the devil loves to make us fear…if we are in fear, then our eyes are not looking upon the Lord. Reader, if you fear…then pray to God to help you achieve victory over your fear and anxiety. Keep praying and don’t stop, keep your eyes on Christ. Resist the devil, and he will flee from you. Take it from one who knows….I used to suffer from extremely intense panic attacks and fear so bad, I could not even leave my home. Christ is the answer, pray and He will help you. Face your fears and don’t run from them, keep God at the center of your life, join a church if you haven’t, and don’t be afraid to ask for prayer.